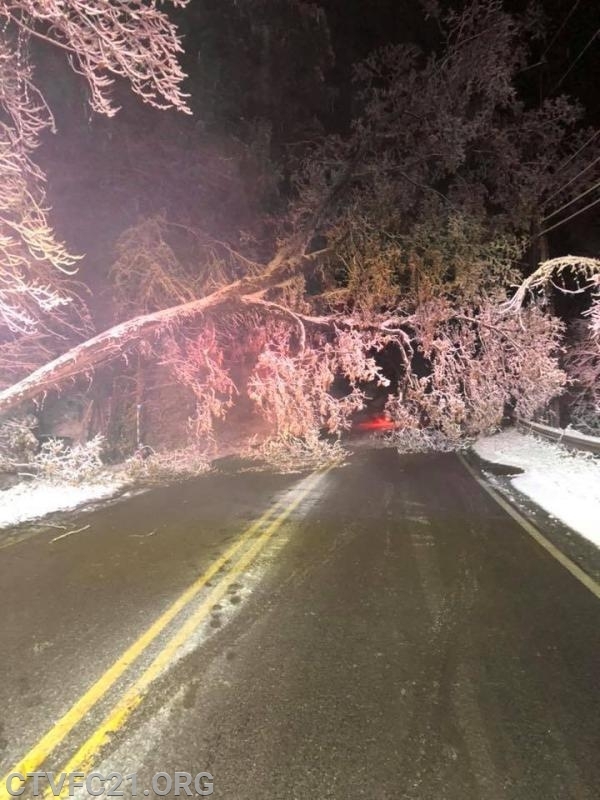 Starting on November 15th at 6:00PM, crews from Station 21 responded to 20 incidents around the Township including multiple calls for trees down into power lines and structures. Throughout the entire time multiple volunteers staffed the stations to respond to calls and provide a warming shelter for any resident without electricity or heat. Penn Power reported almost 5,000 addresses being without power early on Friday morning and as of 7:00AM Saturday, this number is now less than 500. A big thank you to Township staff including Public Works, and Cranberry Township Police, as well as Cranberry Township EMS and all the dedicated volunteers of the CTVFC for all their hard work during this event. Be advised that the Haine School Road Fire Station has been closed as an emergency warming shelter. Cranberry Township EMS, located at 20727 Route 19, will remain open for the duration. If you have an emergency or need fire department assistance, please call 9-1-1. Cranberry Township Fire and EMS units ready to respond.